Exploring Sri Lanka’s UNESCO-listed sights is difficult independently as self-driving isn’t recommended for visitors and many must-sees are marooned in the countryside. 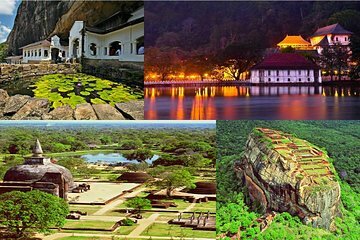 This 10-night tour by private air-conditioned vehicle from Colombo steps in: visiting all eight UNESCO sites, including Kandy, Sigiriya, Horton Plains, and Sinharaja Rainforest. Tour each with a guide for insight, and choose from three hotel packages—3-star, 3-star and 4-star, or 4- and 5-star—with breakfasts included.